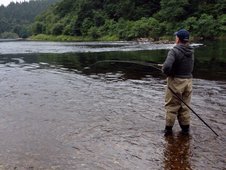 Guided Trout Fishing Trips in Scotland. 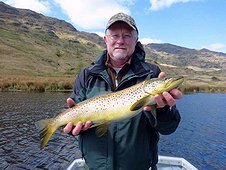 We provide a range of fully guided trout fishing trips and fly fishing holidays for wild brown trout and rainbow trout covering both river bank fishing or loch fishing by boat. 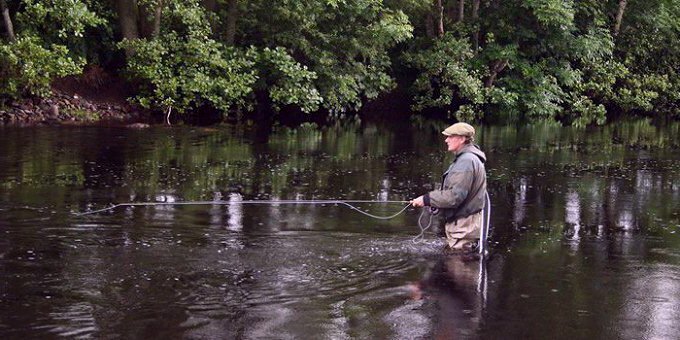 Our fly fishing trips take place on some of the finest fishing rivers and lochs in Scotland chosen for the high quality fishing and the spectacular surroundings. Our trout fishing guides have extensive knowledge of all the rivers and lochs that we fish and will advise you on the best tactics and tackle to suit the river and weather conditions on the day. They are renowned for their experience, good humour and patience and will ensure that you get the very best out of your fishing trip in Scotland. We predominantly fish on the rivers and lochs in Perthshire area, surrounded by some of the most beautiful scenery in Scotland and yet only an hour or so drive from Edinburgh. We cater for individuals, groups, families and corporate trout fishing days. Gift vouchers are also available for any of our trout fishing trips which range from 1 day trout fishing trips to 3 and 6 day fly fishing holidays. Don't worry if you have never fly fished before, we also include fly fishing lessons from beginners to advanced levels. Our day usually starts at about 8.30 am as we like to have our clients on the water by 9.00 am to get the most out of the day. We have an hour for lunch and resume fishing until about 5.00 pm (ish). If you are staying at a local hotel or B&B we can arrange to pick you up in the morning and take you to the fishing. 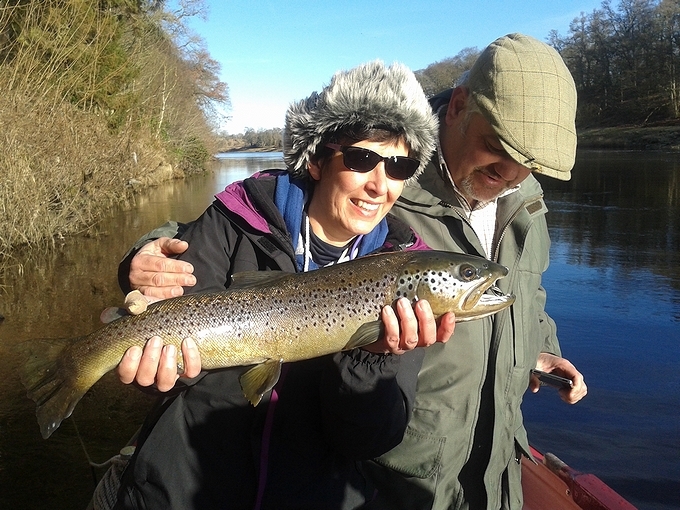 If you are brown trout fishing with us on the River Tay you will have access to the fishing lodge with tea and coffee making facilities, a dining area, toilets and an oven for heating up meals or snacks. We provide all of the trout fishing tackle you will need including well balanced rod, reels and lines, safety vests, waders and a comprehensive selection of hand tied flies. Fishing permits are also included in the price. All you will need to bring with you will be clothing to suit the weather on the day and a packed lunch, which we can also arrange for a supplementary charge. Sunglasses are also advisable. 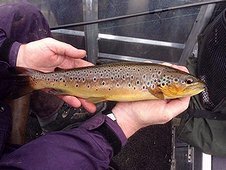 The Wild Brown Trout Season is from the 15th of March until the 6th of October but we can fish for rainbow trout all year round subject to weather conditions in winter. If you book with us for more than a day and don't live local we can send you some links to local hotel or B&B providers or just let you know which area to base yourself. If you are flying into Scotland we can arrange airport transfers from Edinburgh Airport for £75.00 each way and the journey time would be about an hour and 15 min. Above : Our head fishing guide Moray Macfarlane with Vicienne, a complete beginner to fly fishing holding a magnificent River Tay brown trout. Caught during a two day salmon and trout fishing trip in February.